- Premium plush, fine texture, feel soft, not wool, not the ball. - Very cute and soft. - Portable design and easy to carry. 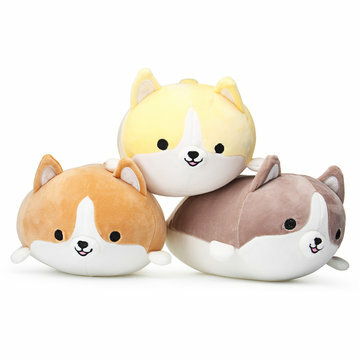 - Lovely and cute dog is also a creative gift for friends and family. - Multiple Use: Baby sleeping dog, baby pillow, doll and blanket etc.